A huge thanks to my friends over at DankGeek.com, a terrific online headshop, for sending over the spoon pipes for this article. A spoon pipe is the most common type of glass pipe. This is also the first pipe of many smokers. There is a really good chance you’ve seen a spoon pipe before even if you didn’t know what it was called. The pipe is named after its shape which resembles the look of a kitchen spoon. 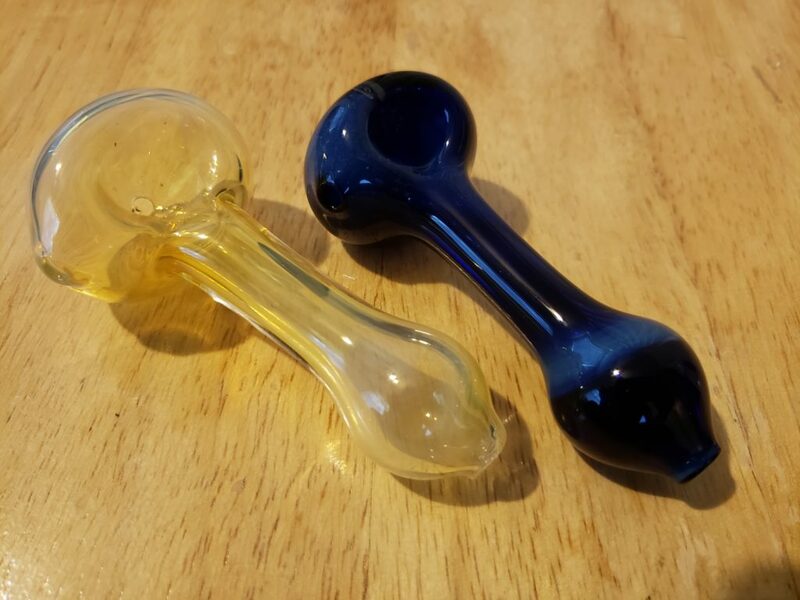 The terms spoon pipe and bowl are often used interchangeably so many people are confused about the difference or if they are really the same thing. A spoon pipe refers to a pretty specific pipe shape, while bowls are a more widely used term for basically any dry piece. So, all spoon pipes are bowls, but not all bowls are spoon pipes. The term bowl is also regularly used to describe the slide portion of a bong (shown below). You can pretty much call anything that doesn’t hold water a bowl and no one will argue with you. Hemp Beach TV Episode 218 Drinking Mary Jane&apos;s while Sarge says to Dab!